It started out as that special place with the laid back beach vibe – awesome seafood, happening happy hour and the live entertainment that only the locals knew about. But you can't keep something that good a secret forever. 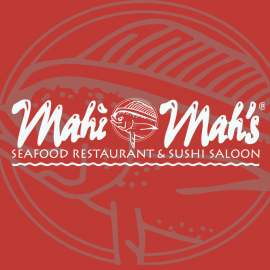 Known as the locals' favorite for over two decades, Mah's is "Still the One” for the freshest fish, local oysters and our hand-picked famous crab cakes. 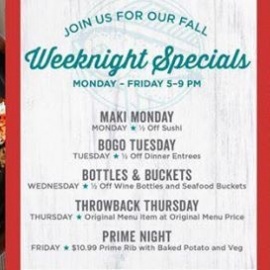 Mahi Mah's also boasts a Wine Spectator's award-winning wine list, indoor and outdoor oceanfront seating, and the boardwalk's only sushi bar. Come early for the beach's best Happy Hour and grab a seat on the party deck for free nightly live music in-season on the 7th Street Stage.